Ride the Original Playland Pier Carousel! Grand re-opening June 9, 2017. 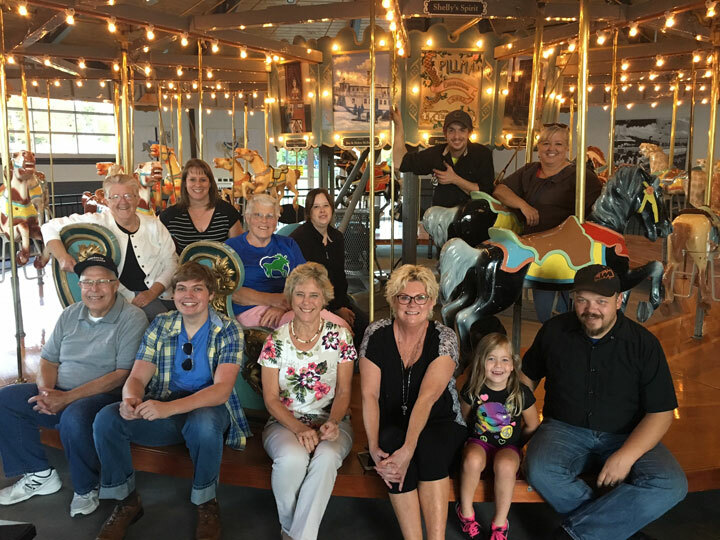 After being gone for over 40 years, the old carousel came back home to stay! Thanks to the generosity of many supporters, the dream is now a reality. 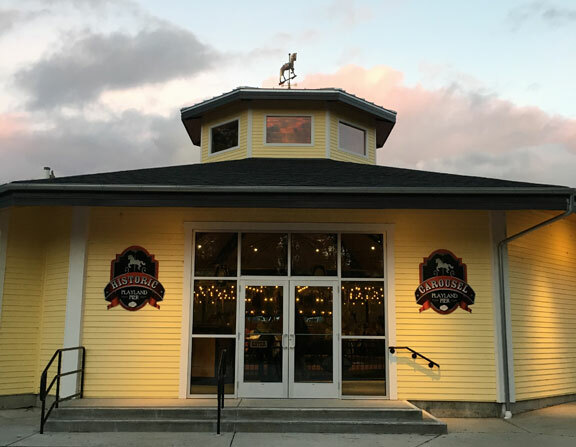 The carousel is available as an event venue for that special occasion. Contact us for more information. Events include unlimited rides and old time popcorn. Special thanks to the staff and volunteers who make the magic happen! Volunteer today and join the carousel family, it is guaranteed to put a smile on your face! 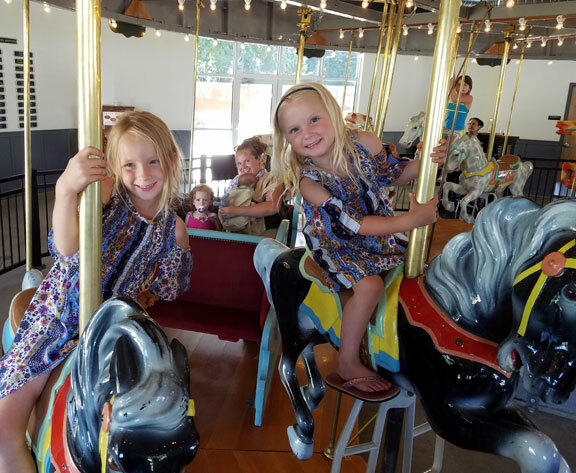 The carousel is open weekends in May & September and 7 days a week when school is out, approximately first week of June through end of August. It is also open for special community events such at Halloween and for the Festival of Lights (day after Thanksgiving). The carousel is a hand carved 1922 Spillman Junior built in North Tonowanda New York. The Merry-Go-Round graced the shores of Lake Coeur d'Alene as part of Playland Pier from 1942 to 1974. The Pier and other rides are long gone, but the carousel is back home! Come enoy the art and history of this wonderful treasure. 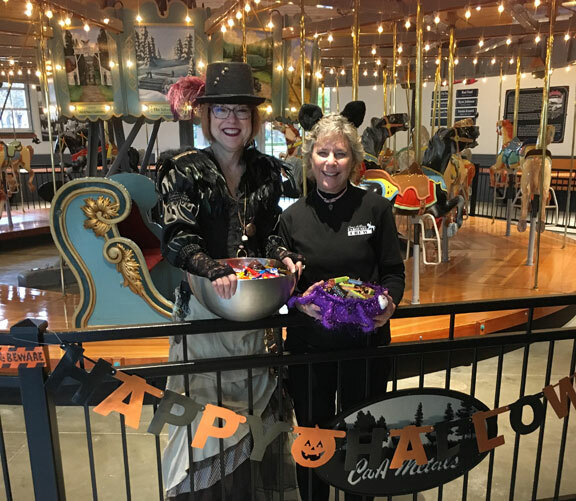 The Coeur d'Alene Carousel Foundation is a 501(c)3 non-profit, ensuring the legacy and continued operation of the original Playland Pier carousel. All operation costs, maintenance & repairs are covered by ridership and the generosity of our supporters. Any donation amount is appreciated. Sign up to receive newsletter and event information.